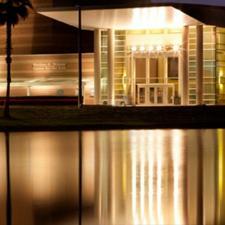 Press Room » Blog » FSCJ Artist Series Presents My Mother's Italian, My Father's Jewish & I'm In Therapy October 14-15! The show has become one of the longest running one-man comedies in history, recently celebrating its four-thousandth performance. 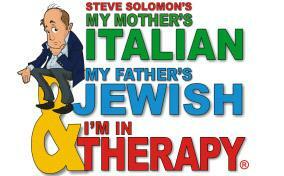 In My Mother’s Italian, My Father’s Jewish & I’m in Therapy!, Steve brings to the stage dozens of wild characters we can all relate to, using dialects, accents and even sound effects. The audience follows along on this wonderfully funny journey about growing up, mixed marriages, ex-wives, dogs, cats, dieting, and dozens of other side-splitting situations. My Mother’s Italian, My Father’s Jewish & I’m in Therapy! is described as “One-part lasagna, one part kreplach, and two parts Prozac,” but you don’t have to be Jewish or Italian to love this show. All you need is to know what it feels like to leave a family dinner with heartburn and a headache! Saturday, October 14 at 2 p.m.